slip on shoes, loose comfortable clothing, writing materials, meditation shawl or blanket, yoga mat, flashlight, water bottle. All books and materials are available in our boutique. The ashram is the ideal place to come relax, rejuvenate and detoxify from your daily life. This weekend provides an opportunity to receive guidance and nurturing from specialists trained in the ancient healing science of Ayurveda in the form of body treatments, consultations and daily workshops. Please call in advance to book your Ayurvedic body treatment and consultation as there are a limited number of appointments available. Participants will practice Yoga asanas (postures), Pranayama (breathing) and meditation twice daily and attend daily workshops on Ayurveda and health. Discover your own personal constitution and learn the basic tools to keep your body, mind and spirit in balance through diet, lifestyle and other tools for healthy living. We’ll determine what kinds of activities and changes in your lifestyle can best help you restore balance. Includes detailed history intake, pulse and tongue analysis, diet and lifestyle evaluation. Please call to book your Ayurvedic consultation and complete your Intake Forms before your scheduled appointment time. 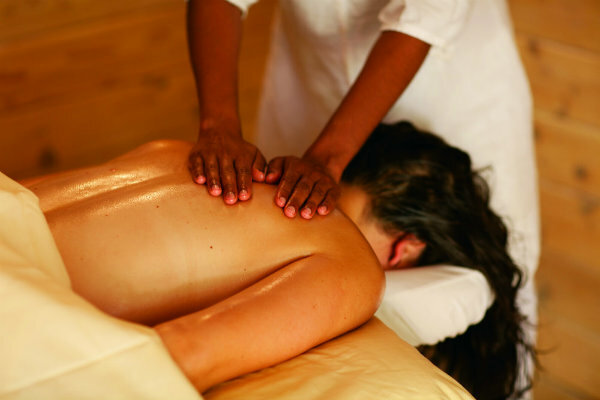 A beautifully relaxing and luxurious full body treatment. Includes Abhyanga, a herbal oil massage; followed by Shirodhara, a soothing, steady stream of herbal oil poured on to the forehead directly over the third eye, calming and purifying the mind. Last comes Swedhana, a full-body herbal steam treatment, which helps the oil and herbs penetrate the body, nourishing the skin and removing toxins. Please call in advance to book your Ayurvedic body treatment and consultation as there are a limited number of appointments available. The Consultations and Body Treatments have an additional cost on top of what is being charged for Tuition and Accommodations. Please see our full Well-being Treatment Menu for descriptions and prices.